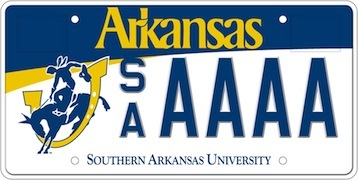 Motorists in Arkansas now have a new option for their vehicle’s license plate as Sothern Arkansas University and the Arkansas Department of Finance and Administration officially released a revised Mulerider license plate on Tuesday. 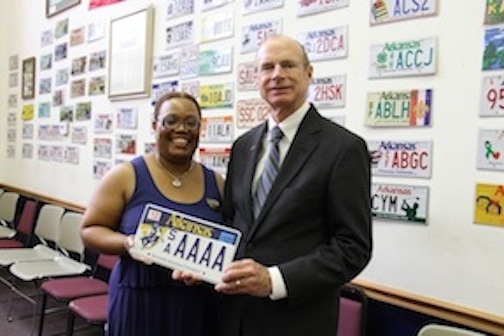 The SAU license plate is part of the Department of Finance and Administration’s collegiate license plate program. Any motor vehicle owner may apply for the plates which are available through the department’s online system or at the Columbia County Revenue Office. The cost of the plate is $35 per year with $25 being returned to the SAU Foundation’s “greatest need” fund. The purchaser may receive an income tax deduction for the $25 donation. According to the SAU Foundation, income from the plates has grown from $3,700 (148 license plates) in 2003 to almost $9,000 (360 plates) in 2011. 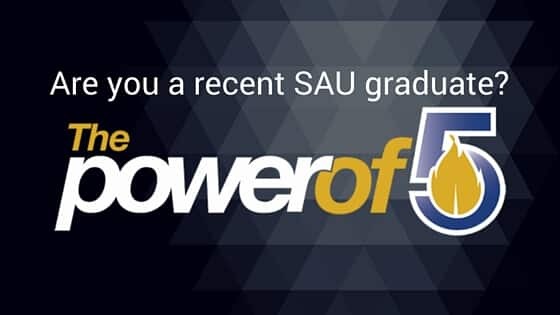 Since the program began in 2002, the SAU Foundation has received $57,672.50 which represents more than 2,300 license plate sales or renewals. The new SAU license plates feature the Mulerider logo on a white plate with blue lettering and a blue and gold swoosh across the top. Motor vehicle owners who already own an old Mulerider license plate may upgrade to the new plate for $11.25 without waiting for their renewal date. Those purchasing the plate for the first time will pay $36.25.